Save up to &pound;458 on gas &amp; electricity for your home. Compare ALL UK suppliers including internet, standard and fixed tariffs. Switch in minutes. 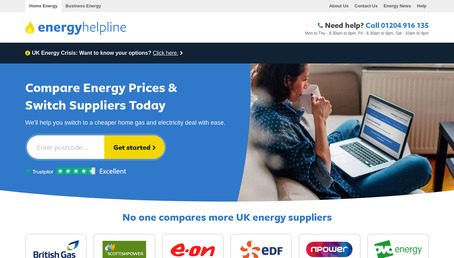 energyhelpline is one of the UK's leading gas and electricity price comparison services.